Audi Washington in Washington, PA treats the needs of each individual customer with paramount concern. We know that you have high expectations, and as a car dealer we enjoy the challenge of meeting and exceeding those standards each and every time. Allow us to demonstrate our commitment to excellence! Our experienced sales staff is eager to share its knowledge and enthusiasm with you. We encourage you to browse our online inventory, schedule a test drive and investigate financing options. You can also request more information about a vehicle using our online form or by calling 412.245.4210. Audi Washington from #1 Cochran is the honest, friendly and knowledgeable Washington Audi dealer you've been looking for. Our family-owned and -operated Audi dealership in Washington, PA, has an approachable Audi sales team and a professional Audi finance and service staff. We treat our guests with respect and are attentive to their Audi sales and service needs. Our welcoming atmosphere allows Washington drivers to have a top-notch car-buying experience, so come meet our helpful Audi team. Get directions to Audi Washington to see how we Go One Better! 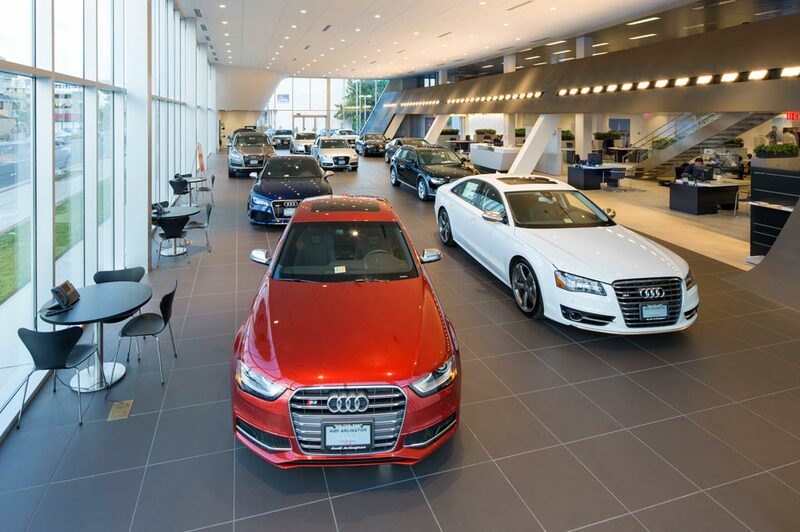 When you visit our homegrown Washington Audi dealership, you'll enjoy a Clearly Better Car Buying experience. We'll tell you why a new Audi Q7 is priced the way it is and give you a full 1-sheet sales summary that details what you'll pay for your new Audi A4 Sedan. If you're shopping on a budget, our used Audi inventory is right for you. Buy a CARFAX® 1-Owner used car or finance a pre-owned Audi Q5 SUV. We have plenty of Certified Pre-Owned Audi A3 Sedans and CPO Audi A5 Sportback models for sale, too, so you can enjoy a large selection. Once you find the new or used Audi that's right for you, speak with our Audi financing team and receive a tailored Audi lease or loan. Meanwhile in our Audi service center, we pride ourselves on making every experience convenient for you. Our Audi service center offers a Quick1 Express Service & Tires lane to help your vehicle get an Audi oil change, tire rotation or other routine auto repairs done in a hurry. You can visit our Audi service and parts centers on Saturdays and schedule Audi service whenever you're free. Our low service pricing carries over to our Audi parts department as well, so don't hesitate to order new genuine Audi parts and accessories from us. Audi Washington is your place for personalized Audi sales, service and financing. Visit us today at 453 Racetrack Road in Washington, PA, to see why we're only a short drive away from North Strabane Township, Canonsburg, Cecil Township and Venetia, PA!